Why revolutionary? Fusion take a DIY'er around 50% less time to install and finish than traditional timber balustrading. 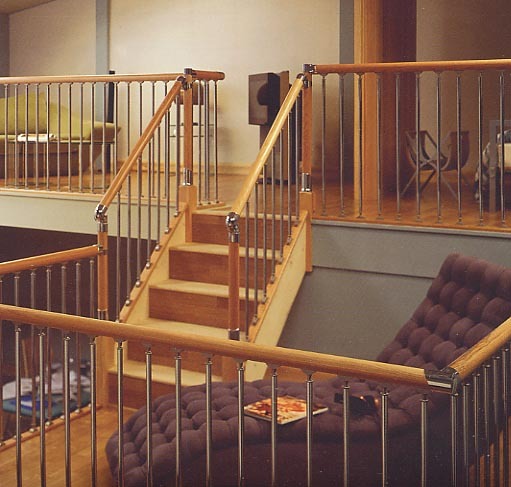 The method of installation is extremely straight forward, for example, a typical straight flight in timber balustrading requires approximately 125 saw cuts, Fusion requires just seven Plus due to the nature of installation, the cuts are hidden by the fixing connectors so they dont even need to be 100% accurate. Timber elements are completely pre-finished in clear varnish, and the metal and ABS components are ready to fit. Fusion is suitable for both new build or refurbishment projects and is approved to UK Building Regulations for Domestic use. 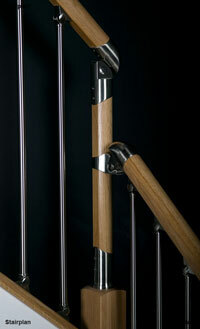 News - See the Fusion range in our Showroom New Fusion Mark 2 stair spindles and Fusion Glass on display. Fusion is available in a choice of timbers and finishes. The 54mm round handrails and newels, and the ungrooved baserails are available in Pine, Beech, Oak and Sapele, the staircase and landing balusters come with their relevant fixing brackets in chrome or Brushed nickel Finishes. 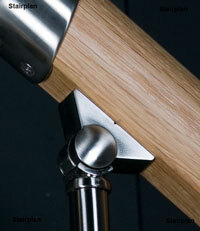 The connecting handrail brackets come in matching chrome or Brushed nickel Finishes. The Fusion range is available now. To order simply phone, fax or Email your list of components to us. How do I work out what bits I need? How Easy are Fusion stairparts to install ? Phone us on 01952 608853 or Fax you list to us on 01952 228679. You can Phone , Fax or Email the list of components you require, payment is required in full with the order. Once your parts are ready for collection or delivery we will contact you. Above the Fusion Acrylic Balustrade panels with Oak Fusion handrail parts. 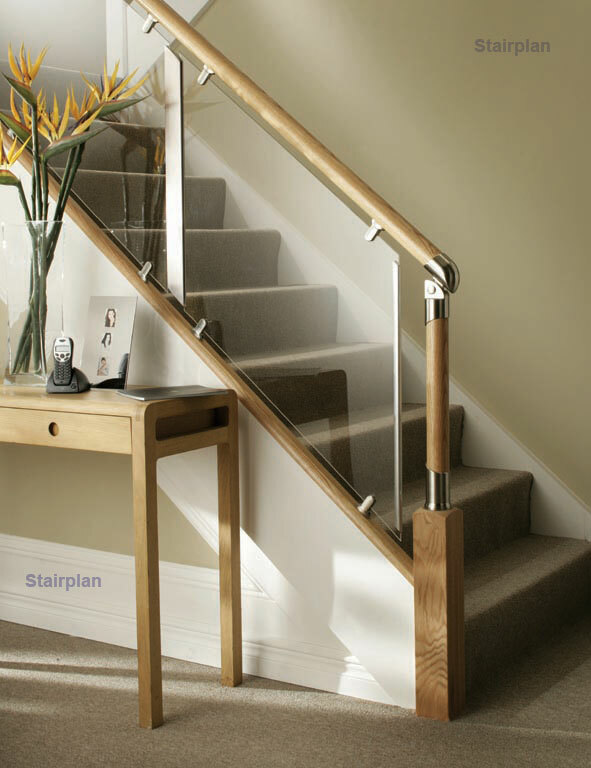 Phone 01952 608853 and speak to our stairparts advisor. 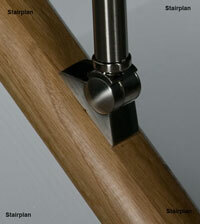 The New Fusion wall handrail kits offer exeptional value compared to buying the parts individualy. 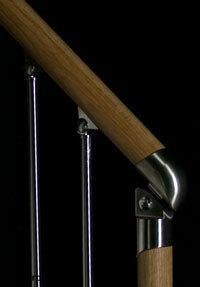 Fusion Mk2 Balusters with the hinged metal feet are far superior and offer a far higher feel of quality. Compare Fusion MK1 and the New MK2 in our showroom.